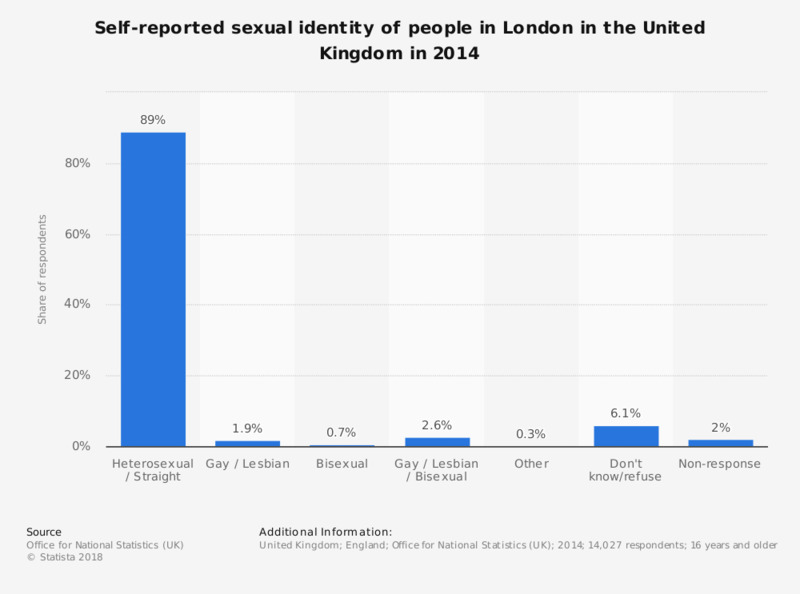 This statistic shows the self-reported sexual identity of people in the United Kingdom in 2014, in London. The majority of people in the UK identified themselves as being heterosexual with roughly 1 in 100 people identifying as being gay/lesbian or bisexual. This rate was considerably higher in the capital.